Cards Career Connection powered by Handshake is the university-wide database that houses all federal work-study positions. To search for federal work-study positions, students must login with their ULink credentials and search for "On-Campus Employment." 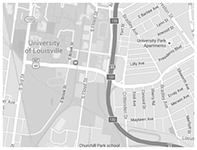 All University of Louisville federal work-study positions are posted in the same format. If you have questions about your eligibility for federal work-study, please contact the Student Financial Aid Office.